“As one of the most in-demand assets for the U.S. military, the V-22 needs a support team that understands the technical aspects of the aircraft as well as customers’ operational needs,” said Pat Walsh, Retired Admiral and Boeing Vice President for U.S. Navy and Marine Corps Services. “Bell Boeing is excited to bring our OEM expertise to the V-22 fleet and deliver solutions that help ensure the aircraft are ready for any mission,” he added. ”The Bell Boeing team is dedicated to providing the safest and most reliable aircraft to the warfighter. 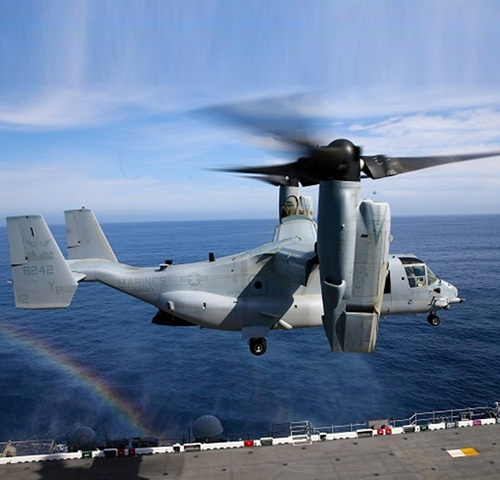 We will continue to produce innovative solutions and deliver technical expertise, training, and maintenance to enhance readiness,” said Chris Gehler, Bell Vice President for the V-22 Program. For more than 80 years, Bell has been reimagining the experience of flight – and where it can take us. Bell was the first to break the sound barrier and to certify a commercial helicopter. Bell was aboard NASA’s first lunar mission and brought advanced tiltrotor systems to market.